We all heard our mothers say it when we were young, "Don't waste your food," or perhaps, "Take all you want but eat all you take." 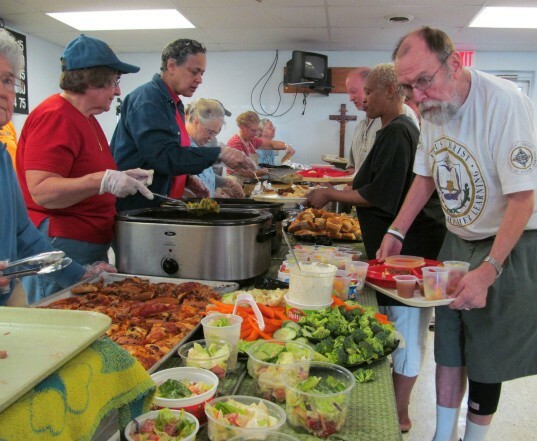 Whether you were threatened with having your dinner sent to poor children in China or you were told to clean your plate, wasting food has always been thought of as a cardinal sin. Unfortunately, not everyone listened to Mom. According to Sustainable America's "I Value Food" campaign, Americans spend about $371 per person per year on food that gets thrown away. In honor of World Environment Day (June 5), consider taking the lead from some of these 12 organizations by reducing the amount of food you waste. Growing food consumes a lot of resources, too. Ten percent of the energy, according to FoodTank.com, consumed in the United States is used to grow food. Also, 80 percent of our freshwater and 50 percent of our land are used to grow food. 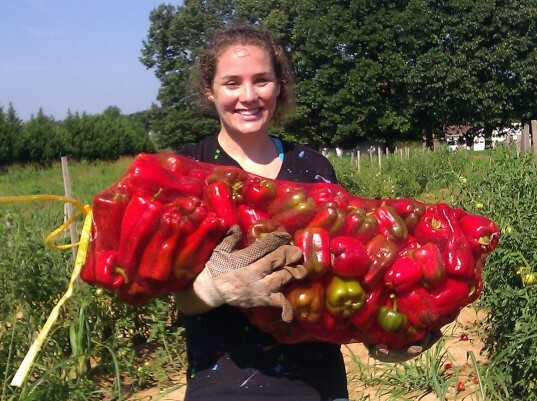 So when you hear that 40 percent of the food that’s grown is thrown away, it’s more than a little upsetting. 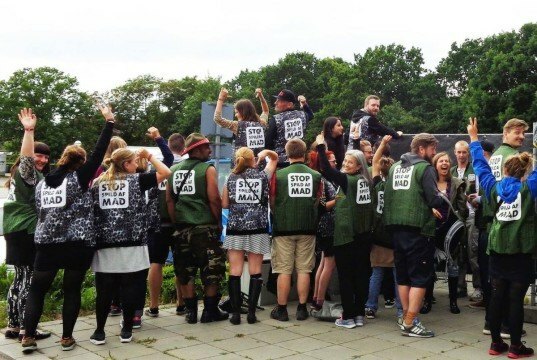 Individuals can do a lot to stop the waste of food. 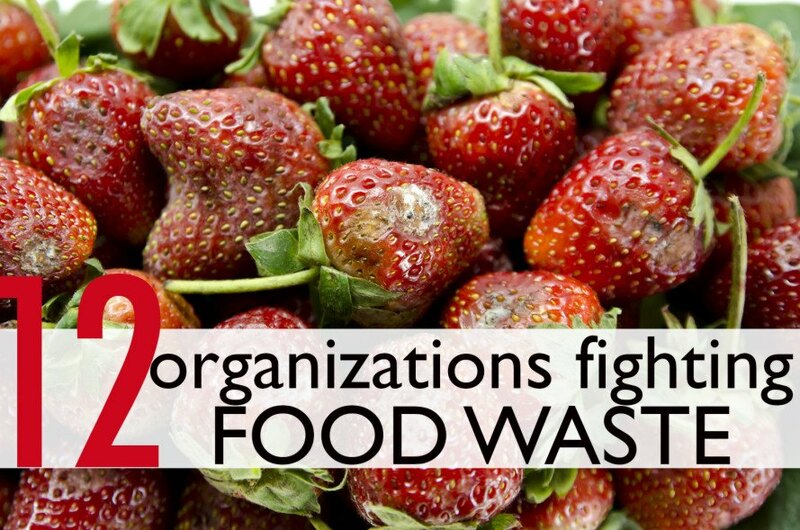 Take a cue from these 12 organizations that are working to reduce food waste. 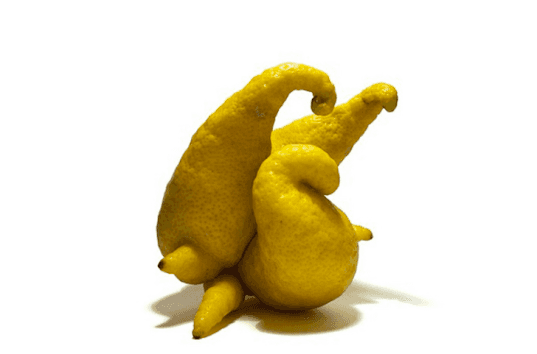 Andre Segrè, president of the Last Minute Market (LMM), looks for the places in the food chain where waste occurs. LMM then recovers and reuses unsold goods from retailers. 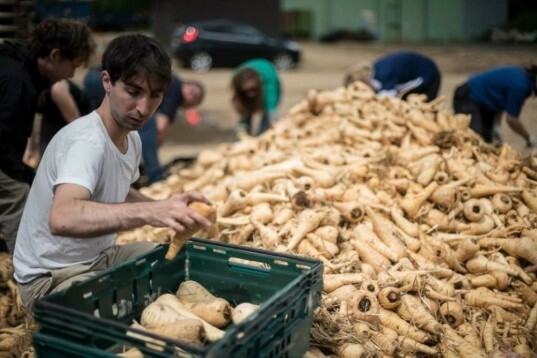 In Berlin, Culinary Misfits uses that “ugly” produce in catering jobs — where no one will ever see that the radish rose once had a blemish on the side. DC Central Kitchen works to recover hundreds of thousands of pounds of food and use it to feed those who have need. 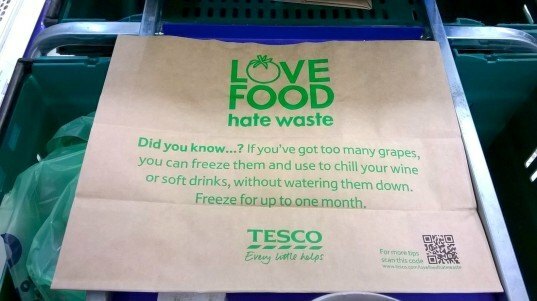 Feedback has multiple campaigns to put an end to food waste. 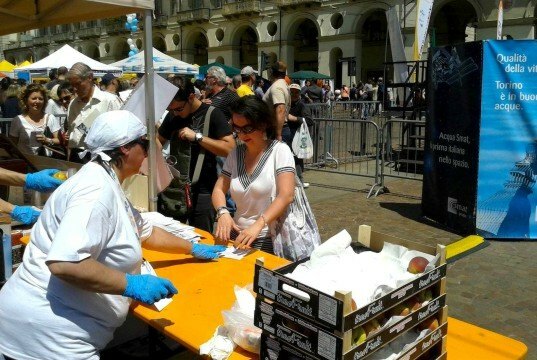 Feeding the 5000 is their main event, a fabulous feast showing how much food is thrown away. The Pig Idea encourages feeding pigs with waste food. Try it! Pigs love it! And the Gleaning Network encourages farmers to allow people to come in and find the produce left behind after the harvest is done. 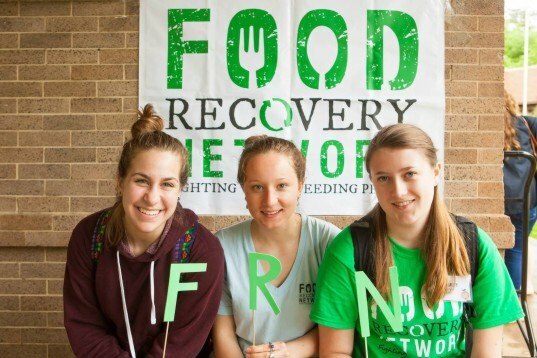 Food Recovery Network started out because a few college students at the University of Maryland were dismayed by the amount of food being thrown out in their school dining halls. Now, FRN creates food recovery programs on college campuses across the country to salvage food that would otherwise be thrown away. Start with buying organic foods whenever possible. In addition to avoiding toxins and pesticides, organic foods are held to a higher standard when it comes to sustainability as well. Organic agriculture uses fewer natural resources and concentrates on protecting biodiversity. You’ll also find that many organic farmers and food producers are committed to reducing the amount of waste that they produce. Buy in bulk. Not only will you save money, but you will use less packaging. This means fewer resources are consumed just to produce the packaging for your food. In addition, when you buy in bulk, you are usually more aware of just how much of an item you have — or don’t have — in the pantry. Eat less meat. By eating less meat and more plants, you are not only eating healthier but you are saving water! According to the Water Footprint Network, “one pound of beef requires almost two thousand gallons of water.” Going vegan even one day a week can save a lot of water and reduce the overall amount of meat purchased. And heck, once you go one day a week, you might want to try for two. Grow your own food. And eat it! By planting your own food, as well as drought-tolerant plants — you can save water and eat well too. Talk to your elected representatives about supporting sustainable agriculture and backing off on the subsidies provided to corporate farms and other farms that use natural resource intense agriculture methods. Buy local. Food grown and produced locally requires less fuels to transport, less refrigeration to keep fresh and likely has more nutrition because it was picked closer to ripeness. Compost. If you can’t eat it — compost it. Cities like Eugene, Oregon incorporate composting into their trash cycle. On campus and even at city-wide events like Saturday Market and the Farmers’ Market, there are trash bags for real trash, a recycling bin for things like plastic bottles and cans, as well as a compost bag for left over food items, napkins, and other paper products. 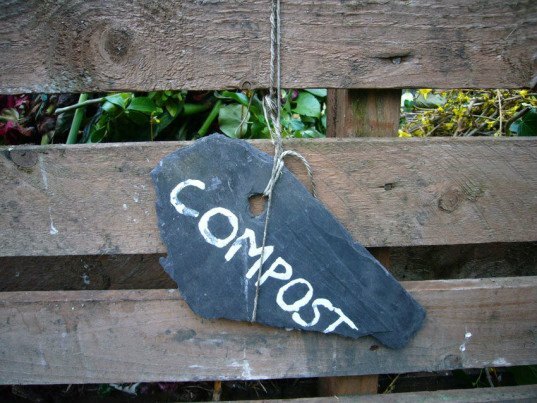 If you don’t live in a place where you can maintain a compost pile, find out if there is a community pile to which you can contribute. Keeping a bucket under your sink for food scraps and coffee grounds is a great way to start thinking about the amount of food you discard everyday. Be aware of your food. 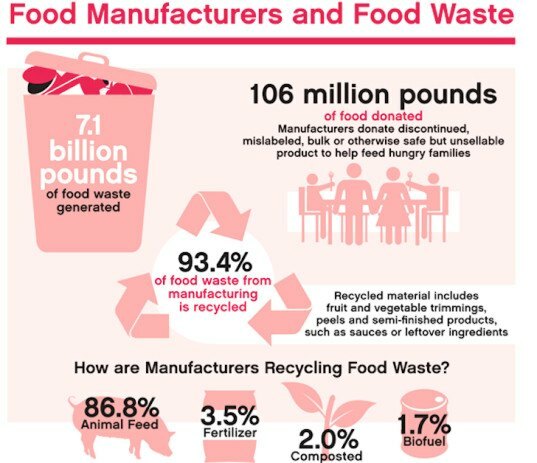 Just thinking about from where your food comes; how much you purchase versus how much you eat; reducing the amount of packaging; and eating more whole foods will contribute to the overall reduction of food waste in the world. Remember what your mother said: “Waste not, want not.” Don’t you hate it when mom is right? 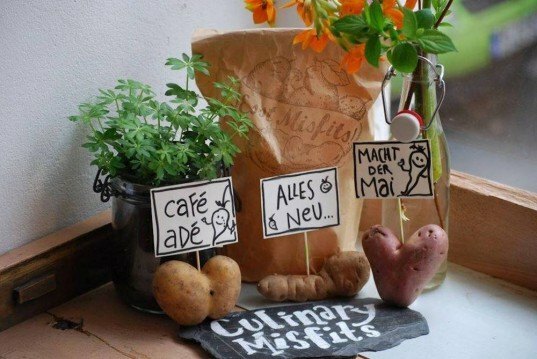 In Berlin, Culinary Misfits uses that "ugly" produce in catering jobs -- where no one will ever see that the radish rose once had a blemish on the side. 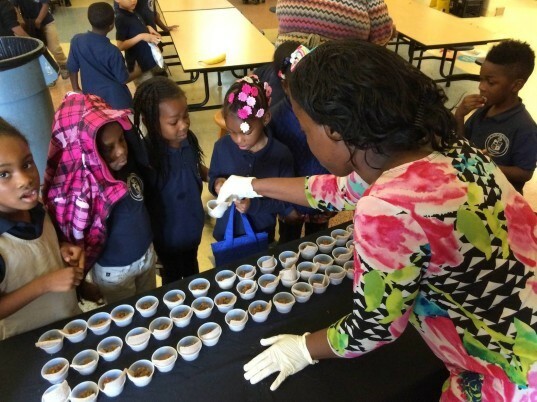 Food waste is the focus of World Environment Day on June 5.